New Jersey Delayed Diagnosis Lawyers | Tomes & Hanratty P.C. Everyone knows someone who, at one time or another, has unfortunately had to deal with a diagnosis of cancer. For this reason, many people routinely undergo cancer screenings, including mammography, prostate exams, colonoscopy, etc. 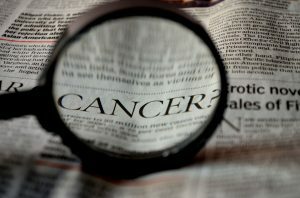 Many people, especially those with a family history of cancer, are hyper-vigilant and quick to report any out-of-the-ordinary symptoms to their doctors. What happens when a medical professional fails to take reported symptoms seriously, fails to perform certain tests and otherwise fails to respond to a patient’s complaints? Moreover, what happens when a doctor fails to follow up on abnormal test results? All of these circumstances and others may cause your doctor to misdiagnose your condition or fail to diagnose your cancer in a timely manner. If you believe that the diagnosis of your cancer was caused by the negligence of a doctor, you may have a medical malpractice case. Contact Tomes & Hanratty, P.C. for a consultation today. What happens when doctors fail to diagnose a deadly disease in a timely manner? If you or someone you know has been a victim of medical malpractice, call the medical malpractice attorneys at Tomes & Hanratty, P.C. We can prove delayed diagnosis and hold your doctor accountable. Our firm has handled many cases for patients whose lives were lost or disrupted due to the failure of their doctors to treat them appropriately. If you need quality legal support and advice, contact Tomes & Hanratty, P.C.